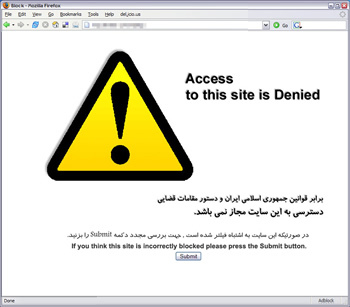 Iran is blocking HTTPS traffic and Syria is cutting off internet; only satellite connection left. Dissidents in danger in both countries. Since Thursday Iranian government has shutted [sic] down the https protocol which has caused almost all google services (gmail, and google.com itself) to become inaccessible. Almost all websites that reply on Google APIs (like wolfram alpha) won’t work. Accessing to any website that replies on https (just imaging how many websites use this protocol, from Arch Wiki to bank websites). Also accessing many proxies is also impossible. 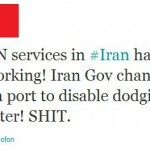 Now, Twitter users this week are reporting that all non-iranian websites have been censored. Notice, all of this is not confirmed by any 100% trusted sources, but it seems we have enough reports to make a post on it. Come Hack With Us Hackathon!